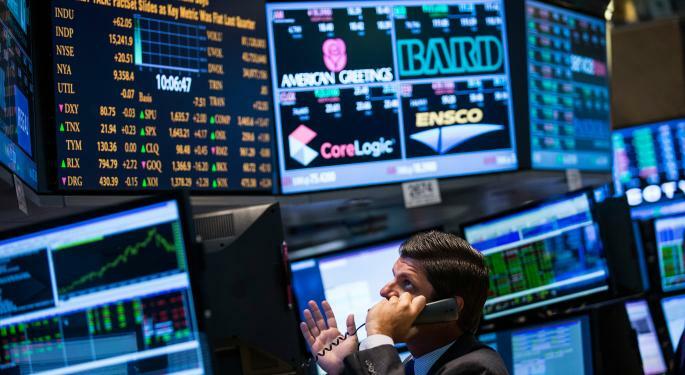 U.S. stocks sold off after news reports began to surface that a Malaysian Airlines jet has crashed in Ukraine. While details have yet to be confirmed, a Ukraine minister claimed that the plane, which carried nearly 300 people, was shot down by rebels. Also not helping the market sentiment includes a continued military incursion in the Gaza Strip. The Chicago Board Options Exchange Volatility surged to its highest levels in more than a year as investors fled out of equities. Recommended: Is The Current Economy Status Cause For Concern? The Dow lost 0.94 percent, closing at 16,976.81. The S&P 500 lost 1.18 percent, closing at 1,958.12. The NASDAQ lost 1.41 percent, closing at 4,363.45. Gold gained 1.55 percent, trading at $1,319.90. Oil gained 1.83 percent, trading at $103.05 a barrel. Silver gained 2.07 percent, trading at $21.20 an ounce. Initial Jobless Claims declined 3,000 to 302,000, below the consensus of 310,000. Continuing claims declined 79,000 to 2.57 million. June Housing Starts declined 9.3 percent to 0.893 million, below the consensus of 1.026 million. Permits declined 4.2 percent to 0.963 million. July Philly Fed Business Outlook rose to +23.9 from +17.8 in June, topping estimates of +16.9. EIA Natural Gas Inventory rose 107 bcf, more than the gain of 98 bcf expected. Analysts at ISI Group downgraded 21st Century Fox (NASDAQ: FOX) to Buy from Strong Buy. Shares lost 0.70 percent, closing at $32.77. Analysts at Raymond James maintained an Outperform rating on Abbot Laboratories (NYSE: ABT) with a price target raised to $46 from a previous $44. Also, analysts at Barclays maintained an Equal-weight rating on Abbott Laboratories with a price target raised to $43 from a previous $40. Shares hit new 52-week highs of $42.99 before closing the day at $41.90, up 2.07 percent. Analysts at RBC Capital Markets upgraded Apollo Global Management (NYSE: APO) to Outperform from Market Perform. Shares lost 1.16 percent, closing at $27.30. Analysts at Nomura initiated coverage of Bed Bath & Beyond (NASDAQ: BBBY) with a Neutral rating and $65 price target. Shares gained 0.25 percent, closing at $61.01. Analysts at Jefferies downgraded Charter Communications (NASDAQ: CHTR) to Hold from Buy with a price target raised to $175 from a previous $160. Shares lost 0.60 percent, closing at $163.00. Analysts at Deutsche Bank maintained a Buy rating on Chevron (NYSE: CVX) with a price target raised to $175 from a previous $160. Shares lost 0.62 percent, closing at $130.08. Analysts at Deutsche Bank maintained a Buy rating on ConocoPhillips (NYSE: COP) with a price target raised to $99 from a previous $94. Shares lost 2.32 percent, closing at $84.68. Analysts at Argus Research initiated coverage of EOG Resources (NYSE: EOG) with a Buy rating and $135 price target. Shares lost 1.32 percent, closing at $115.55. Analysts at Deutsche Bank maintained a Hold rating on Exxon Mobil (NYSE: XOM) with a price target raised to $111 from a previous $105. Shares lost 1.41 percent, closing at $102.31. Analysts at Wolfe Research upgraded Home Depot (NYSE: HD) to Outperform from Peer Perform. Shares lost 0.14 percent, closing at $79.55. Analysts at Barclays maintained an Overweight rating on Kinder Morgan Energy Partners (NYSE: KMP) with a price target raised to $89 from a previous $88. Shares gained 0.09 percent, closing at $82.42. Analysts at Barclays maintained an Overweight rating on Kinder Morgan (NYSE: KMI) with a price target raised to $39 from a previous $38. Shares lost 0.27 percent, closing t $36.81. Analysts at JPMorgan maintained an Overweight rating on Las Vegas Sands (NYSE: LVS) with a price target lowered to $83 from a previous $89. Also, analysts at Deutsche Bank maintained a Buy rating on Las Vegas Sands with a price target lowered to $84 from a previous $86. Shares lost 0.60 percent, closing at $73.36. Analysts at Sterne Agee maintained a Buy rating on MetLife (NYSE: MET) with a price target raised to $66 from a previous $65. Shares lost 1.68 percent, closing at $55.02. Analysts at RBC Capital markets downgraded PetSmart (NASDAQ: PETM) to Sector Perform from Outperform with an unchanged $66 price target. Also, analysts at Deutsche Bank maintained a Sell rating on PetSmart with a price target raised to $60 from a previous $50. Shares lost 1.40 percent, closing at $69.05. Analysts at Janney Capital upgraded Time Warner (NYSE: TWX) to Buy from Neutral with a price target raised to $100 from a previous $71.90. Also, analysts at JPMorgan maintained an Overweight rating on Time Warner with a price target raised to $90 from a previous $80. Shares hit new 52-week highs of $87.14 before closing the day at $86.12, up 3.60 percent. Analysts at Makor Capital initiated coverage of Williams-Sonoma (NYSE: WSM) with a Sell rating. Also, analysts at Nomura initiated coverage of Williams-Sonoma with a Buy rating and $85 price target. Shares lost 1.58 percent, closing at $69.23. Analysts at Canaccord Genuity maintained a Buy rating on Yahoo! (NASDAQ: YHOO) with a price target lowered to $39 from a previous $42. Shares lost 1.72 percent, closing at $33.21. Analysts at JPMorgan maintained a Neutral rating on Yum! Brands (NYSE: YUM) with a price target raised to $81 form a previous $80. Shares lost 6.89 percent, closing at $77.01. Visa (NYSE: V) and MasterCard (NYSE: MA) stated that new U.S. sanctions on Russia will not affect their business in the country. Shares of Visa lost 2.15 percent, closing at $217.88, while shares of MasterCard lost 2.45 percent, closing at $76.39. Microsoft (NASDAQ: MSFT) plans to cut up to 18,000 jobs, of which 12,500 jobs will be lost from its recently-acquired phone unit from Nokia. The job cuts are expected to be completed by the end of fiscal 2015 and will result in a $1.1 billion to $1.6 billion charge. Shares of Microsoft hit new 52-week highs of $45.71 before closing the day at $44.53, up 1.02 percent. TreeHouse Foods (NYSE: THS) priced a 4.304 million share offering at $75.50 for cover expenses from its acquisition of Flagstone Foods. Shares lost 1.63 percent, closing at $75.22. German based ZF confirmed it can raise its bid to acquire TRW Automotive Holdings (NYSE: TRW) to $13 billion. Shares of TRW Automotive hit new 52-week highs of $106.87 before closing the day at $102.64. Disney (NYSE: DIS) and Netflix (NASDAQ: NFLX) finalized an agreement in which Canadian viewers will have streaming access to Disney, Marvel and Lucasfilm films on Netflix only eight months after their theater exit. Shares of Disney lost 0.37 percent, closing at $85.03 while shares of Netflix lost 1.14 percent, closing at $439.36. Ford (NYSE: F) plans to introduce 25 new vehicles in Africa and the Middle East over the next two years. Shares lost 0.34 percent, closing at $17.74. NetSuite (NYSE: N) acquired Venda, a cloud-based platform that handles online, mobile and social e-commerce interactions. NetSuite promised to provide further details in its July 24 earnings report. Shares of NetSuite lost 2.46 percent, closing at $78.80. 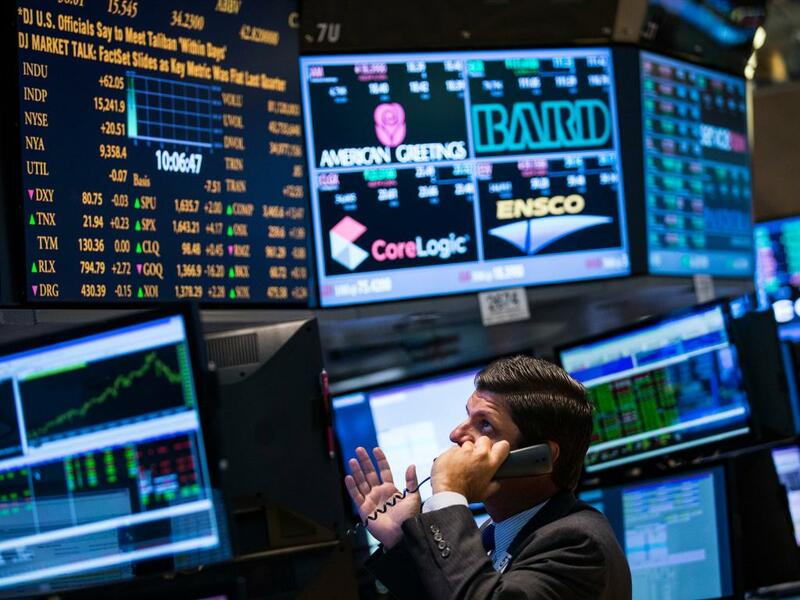 According to the New York Times, AbbVie (NYSE: ABBV) will announce its merger with Shire (NASDAQ: SHPG) tomorrow. Shares of AbbVie lost 0.24 percent, closing at $53.52 while shares of Shire hit new 52-week highs of $257.95 before closing the day at $253.44, up 1.67 percent. ISS, a proxy advisory firm is recommending Cliffs Natural Resources (NYSE: CLF) vote for four of the six board of directors nominees put forward by Casablanca Capital. Shares lost 1.40 percent, closing at $15.50. Coca-Cola (NYSE: KO) confirmed it will continue with plans to invest $1 billion annually in its Mexican operations through 2020. Shares lost 0.24 percent, closing at $42.02. Herbalife (NYSE: HLF) published a new defense of its business model. Shares lost 2.73 percent, closing at $59.84. The government of Indonesia is warning Newmont Mining (NYSE: NEM) could lose its mining license if it does not resume copper production to a state-owned firm. Shares gained 0.91 percent, closing at $25.45. According to German media sources and referenced in Reuters, German based group Siemens has been preparing a takeover offer to acquire Dresser-Rand (NYSE: DRC). Shares of Dresser-Rand surged to new 52-week highs of $71.91 before closing the day at $68.00, up 12.55 percent. Burlington Stores (NASDAQ: BURL) said that it expects comparable store sales to increase between three percent and four percent in the second quarter. The company also announced the it launched a debt refinancing program to retire several senior notes with a higher rate. Shares hit new 52-week highs of $33.59 before closing the day at $31.34, up 8.26 percent. According to Reuters, a private equity firm, Sycamore Partners, is considering a possible bid to acquire Fred's (NASDAQ: FRED). The talks are however at an early stage with at least one other party that is also considering a bid for Fred's. Shares gained 8.90 percent, closing at $16.28. During its second quarter conference call last night, SanDisk (NASDAQ: SNDK) guided its third quarter revenue to be $1.675 billion to $1.725 billion, below the consensus estimate of $1.74 billion. Gross margin is guided to be in a range of 47 percent to 49 percent in the third quarter after coming in the middle of that range at 48 percent in the second quarter and previously coming in at 51 percent in the first quarter. Shares lost 13.56 percent, closing at $93.21. This morning, Danaher (NYSE: DHR) reported its second quarter results. The company announced an EPS of $0.95, beating the consensus estimate of $0.94. Revenue of $4.96 billion was in-line with the consensus estimate. Net earnings for the quarter rose to $676.4 million from $616.8 million in the same quarter a year ago as core revenues rose three percent from a year ago. The company issued guidance and sees its third quarter EPS being $0.86 to $0.89, below the consensus estimate of $0.93. The company also narrowed its net earnings per share guidance for the full fiscal year to a range of $3.67 to $3.72. Shares lost 5.64 percent, closing at $74.07. This morning, Mattel (NASDAQ: MAT) reported its second quarter results. The company announced an EPS of $0.08, missing the consensus estimate of $0.18. Revenue of $1.06 billion missed the consensus estimate of $1.18 billion. Net income for the quarter fell to $28.3 million from $73.3 million in the same quarter a year ago as the company saw sales in North America fall eight percent and International sales were down nine percent. Worldwide sales for Mattel Girls & Boys fell 13 percent from a year ago to $689.0 million while Fisher-Price branded sales fell 17 percent from a year ago to $328.8 million. The company did see sales of its American Girl brand rise six percent from a year ago to $83.1 million. In the quarter the company finalized its acquisition of MEGA brands for $423 million which contributed a negative impact of $0.06 per share in its EPS. Shares lost 6.58 percent, closing at $36.46. This morning, UnitedHealth Group (NYSE: UNH) reported its second quarter results. The company announced an EPS of $1.42, beating the consensus estimate of $1.26. Revenue of $32.6 billion beat the consensus estimate of $32.01 billion. Net earnings for the quarter fell to $1.408 billion from $1.436 billion in the same quarter a year ago as the company faced higher expenses and a tax rate of 41.3 percent, which was nearly six percentage points higher from a year ago because of provisions in the ACA. Revenue from Employer & Individual fell 3.6 percent from a year ago to $10.729 billion, while revenues from Medicare & Retirement rose 6.6 percent to $11.785 billion. Community & State revenue rose 28.6 percent to $5.76 billion and International revenue rose 9.6 percent to $1.793 billion. The company issued fiscal 2014 guidance and expects its revenue to now be $130 billion, up from a previous estimate of $128 billion to $129 billion. The company now expects its EPS to be in a range of $5.50 to $5.60, from a previous $5.40 to $5.60. Shares hit new 52-week highs of $87.24 before closing the day at $85.11, up 1.61 percent. This morning, Novartis AG (NYSE: NVS) reported its second quarter results. The company announced an EPS of $1.34, missing the consensus estimate of $1.42. Revenue of $14.60 billion missed the consensus estimate of $14.81 billion. Net income for the quarter rose to $2.585 billion from $2.519 billion in the same quarter a year ago as the company saw strong sales gains in several units. Pharmaceuticals revenue rose 1.0 percent from a year ago to $8.199 billion, sales from Alcon rose 3.0 percent to $2.817 billion, sales from Sandoz rose 5.2 percent to $2.331 billion and sales from Consumer Health rose 4.6 percent to $1.050 billion. Sales of vaccines saw declines of 41.6 percent from a year ago to $240 million. The company maintained its guidance of low- to mid-single digit growth in Group Net Sales and sees a mid-to-high single digit growth in core group operating income. Pharmaceuticals growth is guided to be in-line with 2013, while Alcon growth is guided to be in the mid- to high-single digits. Finally, Sandoz is expected to grow in the mid- to high-single digits. Shares lost 1.68 percent, closing at $88.53. This morning, Morgan Stanley (NYSE: MS) reported its second quarter results. The company announced an EPS of $0.60, beating the consensus estimate of $0.58. Revenue of $8.52 billion beat the consensus estimate of $8.39 billion. Net income for the quarter rose to $1.9 billion from $980 million in the same quarter a year ago as the company benefited from a discrete tax benefit of $609 million. The company saw its Institutional Securities pre-tax income rise to $927 million from $806 million a year ago despite revenue remaining roughly flat. FICC revenue slipped to $1 billion from $1.2 billion a year ago, while equity sales and trading revenue of $1.8 billion was roughly flat from a year ago. The company announced it received approval from the Federal Reserve to initiate $1 billion in share buybacks beginning in the second quarter of 2014 through the end of the first quarter 2015. Shares lost 0.62 percent, closing at $32.30. After the market closed, Schlumberger Limited (NYSE: SLB) reported its second quarter results. The company announced an EPS of $1.37, beating the consensus estimate of $1.36. Revenue of $12.05 billion beat the consensus estimate of $11.92 billion. Shares were trading lower by 2.30 percent at $112.00 following the earnings report. After the market closed, IBM (NYSE: IBM) reported its second quarter results. The company announced an EPS of $4.32, beating the consensus estimate of $4.29. Revenue of $24.40 billion beat the consensus estimate of $24.13 billion. Shares were trading lower by 1.67 percent at $189.27 following the earnings report. After the market closed, Google (NASDAQ: GOOG) reported its second quarter results. The company announced an EPS of $6.08, missing the consensus estimate of $6.24. Revenue of $12.67 billion beat the consensus estimate of $12.32 billion. Shares were trading higher by 1.96 percent at $585.00 following the earnings report. "We do not exclude that this plane was shot down, and we stress that the Armed Forces of Ukraine did not take action against any airborne targets. We are sure that those who are guilty in this tragedy will be held responsible." - Ukrainian President Petro Poroshenko calling for an international investigation into the crash of a Malaysian jet.